Steve Clement, age 90, of Aurora, passed away on August 2, 2017, at Memorial Community Care. A Memorial Service will be held 2:00 P.M., Saturday, August 5th at Higby-McQuiston Chapel. Pastor Paul Nauman will officiate. Inurnment will take place at a later time. Memorials may be made to the family to designate at a later time. Condolences may be e-mailed to the family through the mortuary website at www.higbymortuary.com. 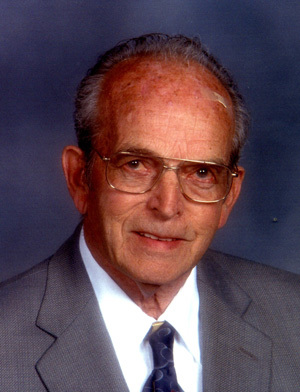 Steven L. Clement, the son of Hugh Hurley and Maude (Milligan) Clement, was born in North Loup, Nebraska on January 21, 1927 and passed away in Aurora, Nebraska on August 2, 2017, at the age of 90. Steve grew up in North Loup and graduated from North Loup High School. Steve was married to Norma Maxine Overton. Three girls were born to this union: Becky, Sherry and Deb. They lived in Des Moines, Iowa where Steve was a diesel service mechanic. He worked for White Truck in San Diego. Over his career as a diesel service mechanic, Steve was known across the country for his knowledge. In 1983, he was awarded 3rd place nationally for his diesel knowledge. Steve was an avid woodcarver and reader. He loved to hunt and fish. He was preceded in death by his parents and wife; seven siblings and son-in-law, Samuel Boykin. Those left to cherish his memory are his three daughters, Becky Boykin of Campo, California, Sherry (David) Sotelo of Turlock, California and Debra (Gary) Auch of Hill City, South Dakota; 13 grandchildren; 20 great-grandchildren; 5 great-great grandchildren and a sister, Joan Klug of West Allis, Wisconsin and other relatives and friends.